One of the great aspects of Thunder on the Lakeshore is that it runs all day. In the early morning there is a balloon launch, and after the airshow there is a party and the balloons setup again at the air-field for a "balloon glow". 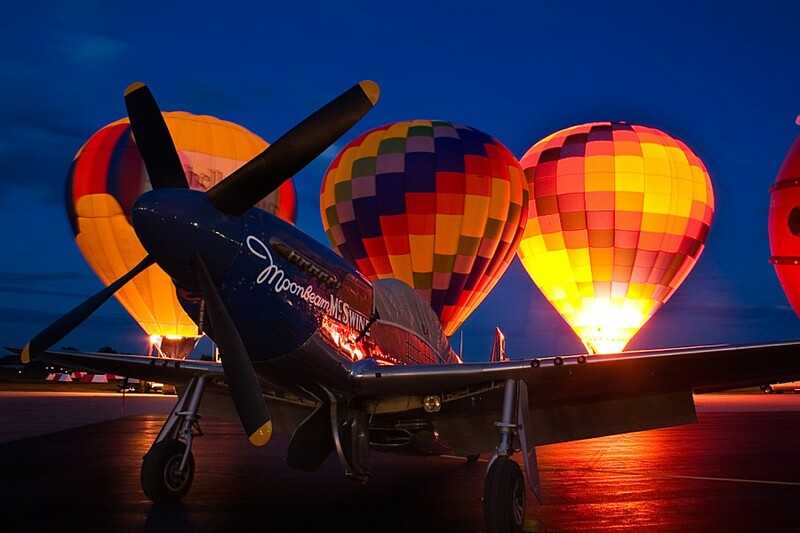 This photo captures Vlado Lenoch's beautiful P-51D "Moonbeam McSwine" reflelecting the light from the balloons. 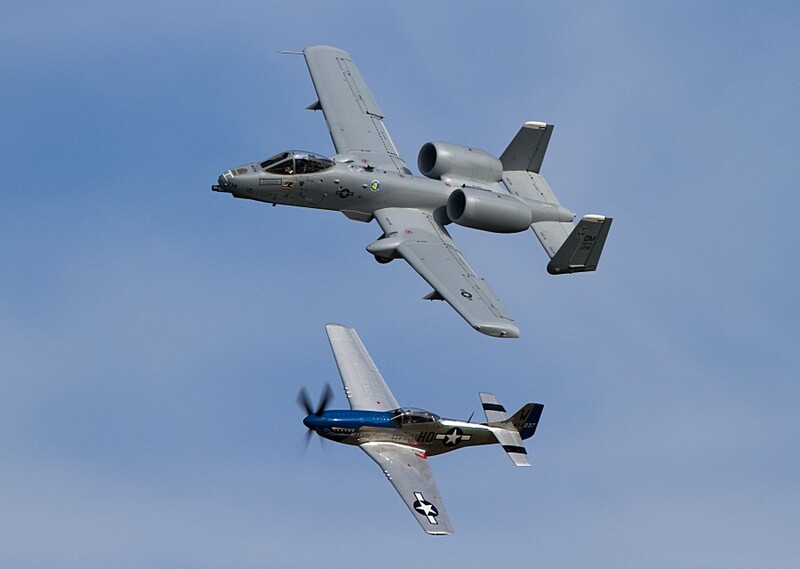 The Heritage Flight is one of my favorite things at airshows. At Thunder on the Lakeshore, the "banana pass" that opens the flight is right in front of the main crowd.